A holiday tree was the festive, final touch for Athertyn’s ‘Topping Off’ ceremony, as the builders celebrated Phase IV’s building now being ‘under roof’ – completely shingled. The Pohlig team, along with principals Todd Pohlig and Don Pohlig; construction management partner Adams Bickel; and Minno & Wasko Architects were on hand for the occasion. The ceremony coincides with a remarkable milestone for Athertyn, the number one best-selling 55+ lifestyle living concept in the region – $94 million in Main Line real estate sold. 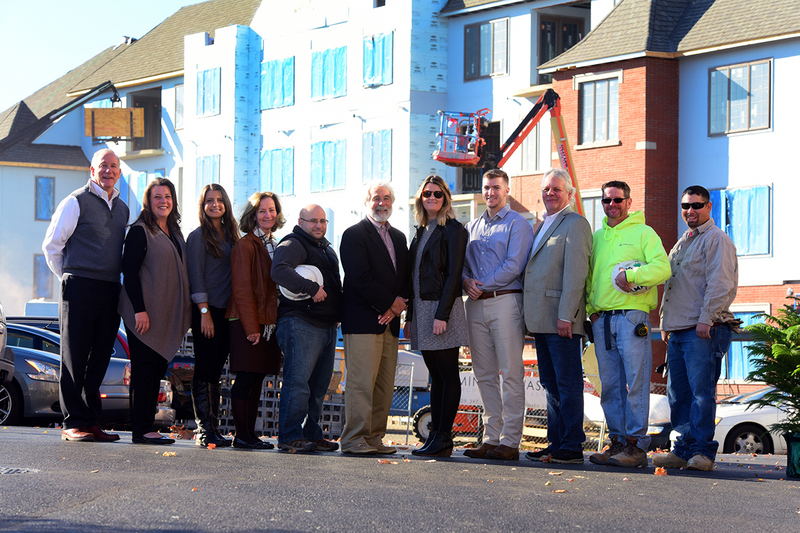 Set in the 165-acre Haverford Reserve, the community will welcome Phase IV homeowners to their ‘right-sized’ single-level condominium homes in early January 2017.